Just Thinking: INTENTIONALITY - and the four "R"s - REDUCE, REPAIR, REUSE, AND RECYCLE! INTENTIONALITY - and the four "R"s - REDUCE, REPAIR, REUSE, AND RECYCLE! 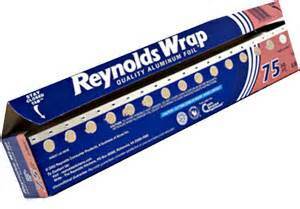 What does repairing a Reynolds Aluminum Box have to do with the School Garden or sustainability? This question which is often accompanied by a quizzical look. One of the biggest problems with making our world more sustainable is that our entire society is based around two things; consumption and convenience. I was cleaning the pantry because we had a wee mousie in the housie! I picked up the box of aluminum foil (which I try to use sparingly and recycle when it gets used). The roll of aluminum immediately fell out of the box exposing that both ends of the box were broken. I remember this moment of frustration from many previous encounters with this box. I am at a turning point. Either I am going to ditch this nearly full roll and go out to buy a completely new one (which has the potential of being equally quickly broken) or I am going to have to repair the box making it possible to use up the remaining foil. I immediately started weighing the value of my time versus just getting a new box. By now you are probably rolling your eyes and maybe even you have stopped reading. But let me encourage you to assess things in your own life in this same intentional way. If I throw this box away I will at least put the aluminum to be recycled. That recycling will cost effort, time, and money. I do not have the sophistication to determine exactly the cost comparison, but between my time/recycling foil/getting a whole new box. What I do know is that if things are going to be sustained we need to add INTENTIONALITY and REPAIR TO THE repertoire of things we just take for granted. We cannot continue to live for personal convenience and gain alone. This weekend I was dying for a coffee. It was pouring rain (the remants of Harvey), I had gotten wet and for the first time since last June, I felt chilled. I pulled into Dunkin' Donuts. I was ordering my coffee, when I realized that they put their hot coffee in Styrofoam. OOOpps! I quickly changed the order to iced coffee....not what I had envisioned and explained to the clerk WHY I had changed my order. When she tried to hand me a straw with my iced coffee I pulled out my stainless steel straw and explained how bad straws are in our environment. Then when I came home I contacted the website and suggested that they switch to paper cups for the coffee, and use paper straws....Again, it is a small thing, but the beaches are made of small bits of sand (and now thanks to us - PLASTIC! We must become INTENTIONAL, PEOPLE WHO REDUCE REUSE, RECYCLE, AND REPAIR!